Wizu Workspace has committed to a further 7,274 sq ft of office space in the building, and now occupies 16,703 sq ft in total. The company has more than 28,000 sq ft in Leeds city centre across two buildings. The Leeming Building is a grade I-listed office constructed in 1904 and has undergone an extensive refurbishment by owner Freshwater Group. It is sited next to the new Victoria Gate development. Tom Almas, managing director of Wizu Workspace, said: "Following on from a successful first year at The Leeming Building and due to an overwhelming amount of demand, we made the decision to commit to further space. "The extra space we have committed to will allow us to grow our popular co-working offering and provide further office suites to fulfil the high demand. As one of the city's most recognisable landmarks situated in the heart of this vibrant and developing part of town, it is understandable why the office space is proving so appealing to businesses looking for a stylish, creative working environment." 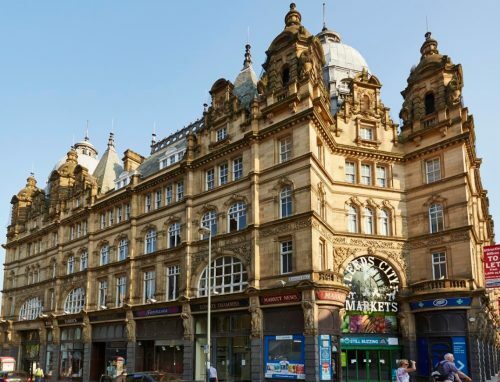 Leeds-based commercial surveyors' firm WSB Property Consultants and development manager TPS represented Freshwater Group on the letting. Alex Jowett, senior surveyor at WSB Property Consultants, added: "The extra space that Wizu Workspace has committed to within The Leeming Building is testament to the unique style and quality of office space that we have been able to create within one of Leeds' true architectural gems."